If you're a fan of collectable custom hardware and like the idea of helping a worthy cause, then you might be interested in purchasing one of ten limited edition "Game Boy Horror" handhelds from 8-Bit Evolution - the same talented people who created the fantastic Smash Bros. N64 we featured a while back. 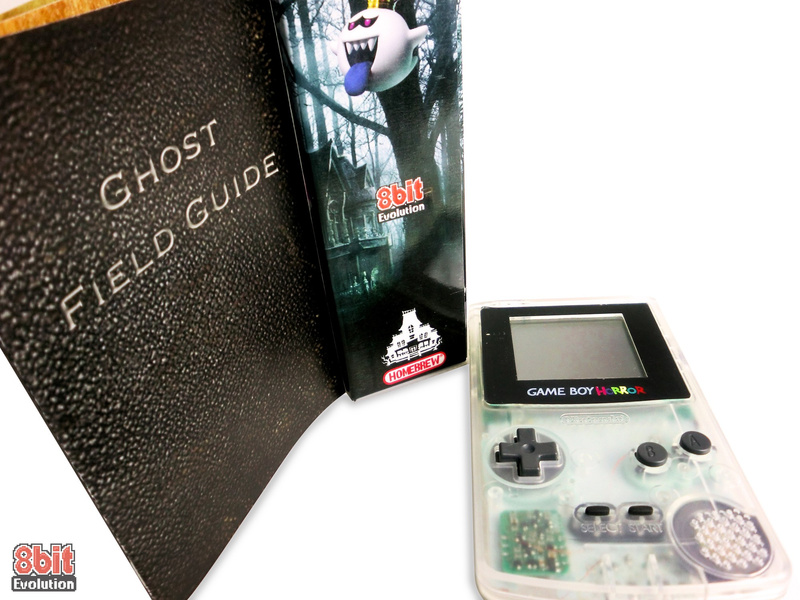 Mimicking the handheld featured in Luigi's Mansion, this system comes with a Ghost Hunter's field guide, a professionally-printed box and other bonus items. All proceeds benefit the Children's Miracle Network and the Extra Life Initiative. Founded in 1983, Children's Miracle Network Hospitals has raised more than $5 billion for 170 children's hospitals across the United States and Canada. These donations have gone to support research and training, purchase equipment, and pay for uncompensated care, all to save and improve the lives of children across North America. If you're interested in owning this unique system, then $150 / £102 is the asking price - a fair amount for such a good cause, and you get to own an amazing collector's item at the same time. That's a great idea for a mod... But $150? Hell no, I'd rather make my own. They clearly put a lot of work into it though. I wish I had $150, considering the work that was put into it, that's not a bad price. 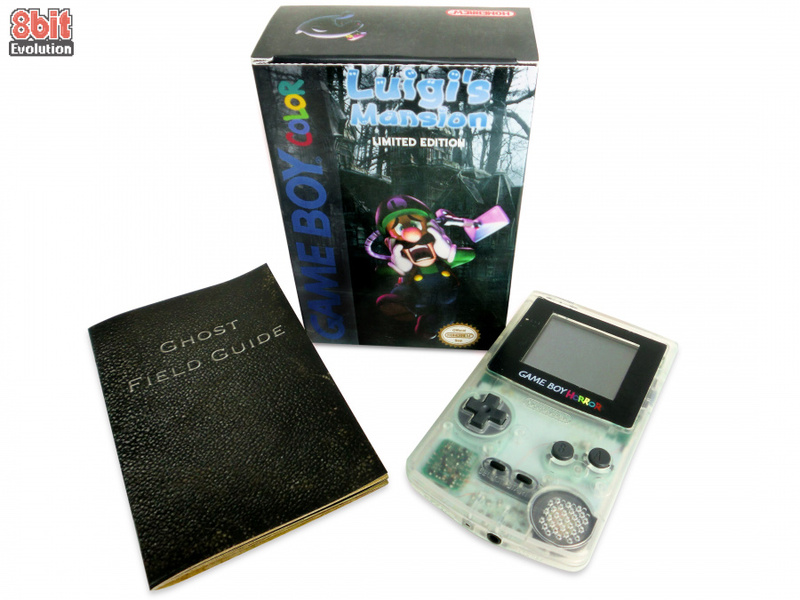 It's a lovely idea and for a good cause, but there's only one change to a standard Gameboy Color, with a custom box and a printed guide. It shouldn't cost this much. I would love to have that, but the price is just a bit too much for me. At least it's for a good cause. Damn, this is something I've always wanted. And it finally surfaces at a time when I have absolutely no cash. 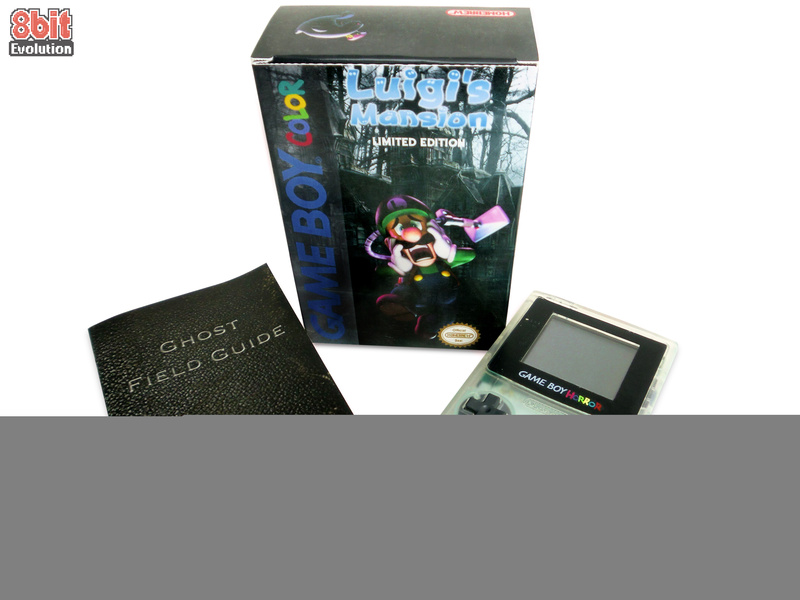 I think the price is absolutely perfect considering the work that went into the design of the box, the field guide and the GBC screen considering that it is not being mass-produced. I'm not the most avid collector so I'll likely be skipping this one. But I still think it looks great! 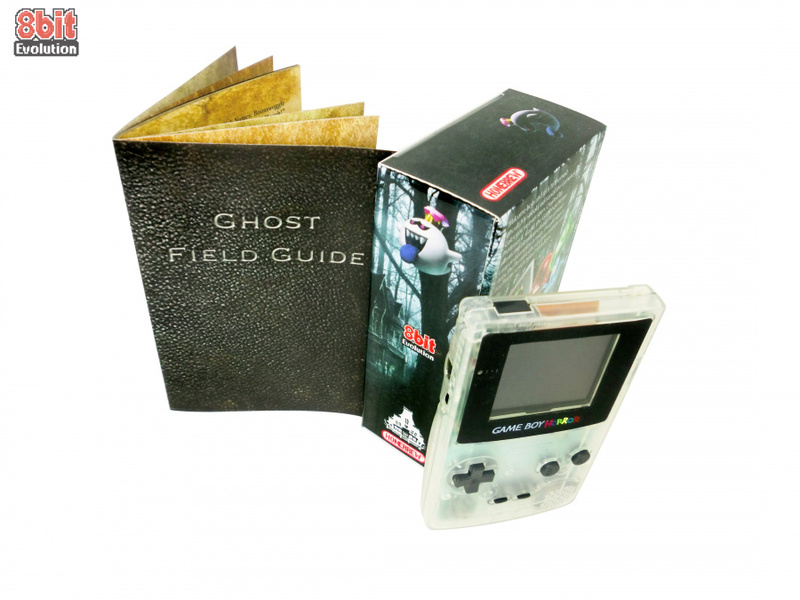 Aw an actually Gameboy Horror, which the name fits when you look at the price. Well, I think I know what I'm about to do. Besides the charity thing, the one from Rose Colored Gaming was better. I wish I didn't hesitate buying that one when I saw it. No map? No Boo Radar? No deal! Is it even legal to sell mods like this? wouldn't Nintendo be able to take this down? It's nice, though I think I'd prefer the Dual Scream from Luigi's Mansion Dark Moon instead. uh, is there anything special about this gameboy? is it backlit? apparently its only a gameboy color, so thats totally lame. does it at least glow in the dark? dont get me wrong, i love me some weegee's mansion, but dont see the point here. would be cooler if it was a 3ds rearranged into the shape of a gb color, with like a slideaway cover for the bottom screen or somethin so it still looks kinda authentic. They also make backlit gameboy advances. LOL Typical "money goes to charity" and then right away HELL NO $150!????!?! I'LL MAKE MY OWN. IM A GAMER I DO IT MYSELF. 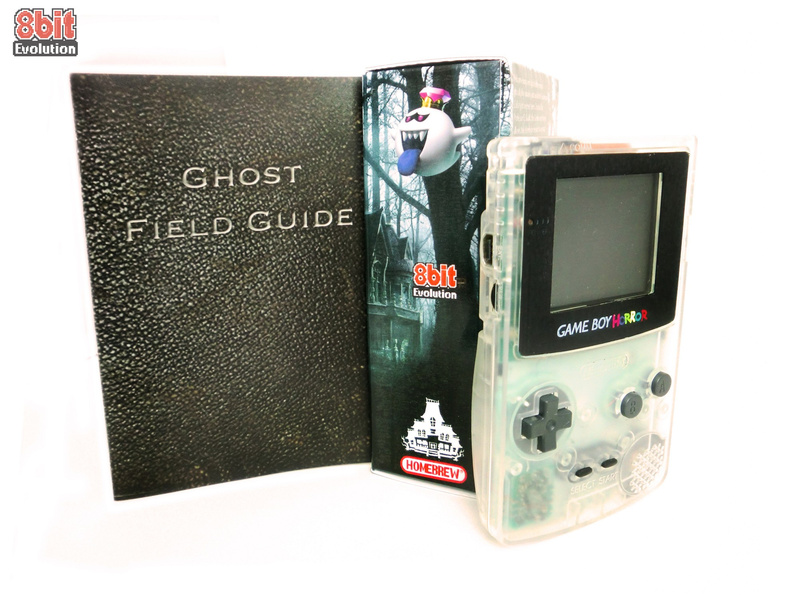 Eh, the "game boy horror" printed screen cover is nice, but no lighting at all? Just a regular GBC with a special screen cover for $150?! Even if the money goes to charity, that's not really good value for my $150. Not that it matters because it's sold out already anyway. Unless they actually did more than just print the screen cover (clear GBCs already exist, so...). To the GameBoy, I mean. I see the box and the manual but I don't care about that, that doesn't make it worth $150 to me, that's just gubbins I'd look at once and then toss in the back of my closet, never to be seen again. @Dankykong The money going to charity doesn't have any bearing on whether or not the transaction is a good value for the money. Typical "money goes to charity" and then right away "I'M GOING TO BECOME A MASSIVE JERK ABOUT HOW OTHER PEOPLE SPEND THEIR MONEY". Also before you complain more, I again point out that the systems are already sold out so nobody commenting at this point can actually buy one anyway. They're now asking for nearly £700 for it! Not even for charity.